Predicting how people will behave in the event of a fire is one of the most difficult aspects of fire protection engineering. Fire protection has come a very long way in the past 100 years. However, it wasn’t until the Society of Fire Protection Engineers (SFPE) published its Handbook of Fire Protection Engineering in 1988 that the concept of considering human behavior in fire emergencies was introduced into the development of building evacuation scenarios. This post provides a summary of the Protective Action Decision Model (PADM) provided in the Handbook of Fire Protection Engineering to illustrate for fire protection engineers, design professionals, code authorities, and building owners the many factors that influence the responses and behaviors of people when threatened by fire. To the extent that we can improve our understanding of these factors, we can design more effective fire safety systems. People will be able to see, hear, smell, or otherwise sense the cues to evacuate – fire alarms, fire, smoke, or the actions of others – and that they will understand them. People will know what to do if they hear a fire alarm. People will begin to evacuate as soon as the fire alarm is sounded in their local area. People will know where they can take refuge in the building. People will know where the emergency exits are located. In cases where there is more than one escape route, it is often assumed that people will use all of them, as opposed to everyone attempting to crowd through one or another. 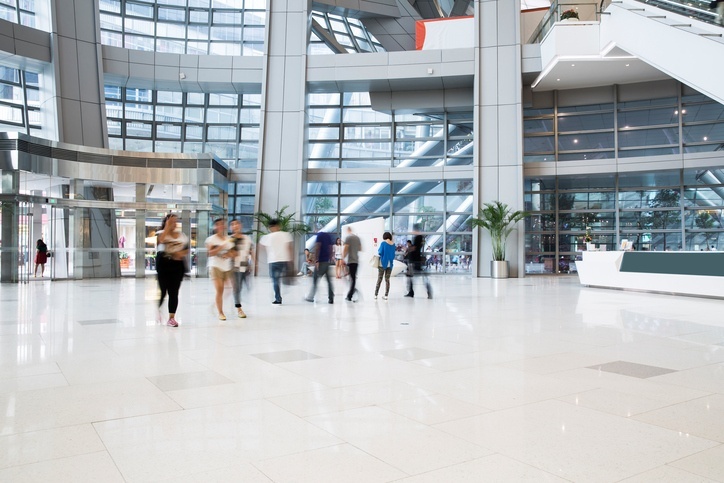 These assumptions may or may not hold true depending on the intended occupancy of a building and other factors at play in any given situation. The reality is that the nature of human behavior makes it difficult to accurately predict how people will respond in the event of a fire emergency. Given this, fire engineers need a good model to help them better understand and evaluate how human behavior can impact how people perceive, react and respond to a fire emergency. The Handbook of Fire Protection Engineering provides a useful way of thinking about the human response to fire emergencies. The Protective Action Decision Model (PADM) is based on more than 50 years of empirical data and provides a useful framework for understanding how we humans receive information, how we process that information, and how we will respond. Environmental cues such as heat, smoke, and crackling or explosive sounds. Cues from the building such as fire alarms, sprinklers, and power outages. Cues from people in the building including verbal instructions, people moving toward the exits, and/or the arrival of firefighters on the scene. Once the cues begin occurring, our response to the emergency can play out in any number of ways as we make our way – very quickly – through the following steps of the PADM. People perceive cues through one or more of their five senses – faculties of sight, smell, hearing, taste, and touch. Depending upon the type of cue, individuals can receive cues from a fire event in various ways. If our senses are impaired in any way, we may be less likely to perceive the cues that a fire is occurring. It’s also important to understand that not all of the cues of a fire emergency happen in every situation or that they happen at the same time. In addition, environmental factors within a building, such as ambient noise, odors, the degree of compartmentation, etc. can enhance or deter our ability to sense the cues that a fire emergency is occurring. How obvious the cue is and how well it can be seen or heard – we cannot respond to cues we do not perceive. Our ability to pay attention – While not one of the five senses, alertness is another factor that can impact one’s ability to perceive cues – whether a person is awake or asleep or sleep deprived, under the influence of drugs or alcohol, or so engrossed in what (s)he is doing that important cues are missed. How we respond to stress and anxiety – Fear, along with the stress and anxiety it produces can cause what is known as “inattentional” blindness – the inability to see something that is in plain sight – leading to unexpected behavior. Whether we are alone or in a group – Individuals that are part of a larger group can be less likely to pay attention to their external environment. On the other hand, they can also be more likely to get their cues from each other or through the actions of others, such as following when they see people starting to evacuate. When we receive cues that an emergency is taking place, our brains instantly attempt to process its meaning by comparing the information received with our knowledge, experience, and training. This is a cognitive activity that can result in one of three outcomes – we may correctly interpret the cues, mistake it to mean something else, or not understand it at all. The language used – Simpler is better when it comes to emergency notifications. Complex messaging that includes acronyms/abbreviations, complicated terminology or too much information, will make it less likely that the message will be understood. Characteristics of the person receiving the cues – The age of the person receiving the cue (a child versus an adult for example), people who do not speak the language used in the messaging or who come from different cultural backgrounds, people with mental disabilities, etc. Once we comprehend or “get” the cues that an emergency is occurring, our brains begin to process them, attempting to determine 1) if the threat is real (a threat assessment), and 2) if we are in immediate danger (a risk assessment). The difference between these two processes is perhaps best illustrated by people who, when able to evacuate, choose instead to fight a fire rather than flee. Obviously, these people know the threat is credible, but they must not feel they are in immediate danger or they would evacuate. Fire alarms, alone, will not convince people that they are in danger. People who are subjected to multiple false alarms may be less likely to process the cue from a fire alarm as credible and resume their previous activities rather than respond to protect themselves. Providing detailed information in a fire emergency will be more convincing to people that there is indeed a fire occurring and that they are in danger. People are reluctant to interpret cues as threats if others around them do not appear to feel threatened. People can become convinced that an actual emergency is taking place when they see emergency response vehicles arrive at the scene. This is the point in the process where we decide whether or not we should evacuate and if so, what to do next. The decision-making in an emergency situation is different from our day-to-day decision-making in two important ways. One is that there is much more at stake – often our own survival and the survival of those we love. The second is the amount of time we have to make a choice before we lose our window of opportunity for escape. Whether or not we can see where the emergency exits are and understand how to use them. Likewise, our familiarity with the building and its exits can influence the route we take to safety. The actions of others, including the actions we see them take and the evacuation routes they choose – If others around us are not taking action, for fear of social embarrassment, we might be less likely to do so ourselves, even if we want to. However, if others are evacuating along certain routes, those are the routes we are most likely to take as well. Whether we know the other people in the building – Our social affiliation with other occupants in the building can influence our decision to evacuate. For example, if we know the other people in the building, we are often more willing to take extra time to go and gather them together to ensure they all evacuate or to go back into a smoking or burning building to save missing family, friends, or coworkers. Similarly, our roles and feelings of responsibility toward others can also influence our decisions in the moment. Physical/mental limitations – Our ability to react depends in large part on our physical and mental capabilities and our alertness in the moment. If we are limited in any way, our ability to protect ourselves is also limited. One of the most interesting – and confounding – aspects of the PADM is that during an emergency, every time we receive new information from our physical or social environment, it can trigger a restart in our brains in which the decision-making process begins again. When this happens, our brains process the new information or lack thereof to either alter or confirm any decisions we might already have made. Therefore, if the information we receive at any point in a fire emergency is ambiguous, incomplete, or inconsistent, we might engage in information-seeking actions or in some cases, choose to ignore the previous cues we’ve received and processed. This explains why in many fires, an alarm signal alone does not generate immediate evacuation but rather leads people to look for additional confirmation of a fire. Information is dangerous – people milling about, asking others whether they know what’s going on reduces the time they have to escape and can even lead people to move toward the danger to determine if the threat is real. It is important to realize that the decision-making process in the event of an emergency is a circular one. Each time an individual receives new information, the decision-making process can begin again, either to alter or confirm original decisions made, if any. Understanding human behavior is critical to designing effective fire safety systems. People will seek information even in the most intense situations making the implication to fire engineers clear – the more complete, unambiguous, and consistent information a fire safety system can provide in an emergency, the more quickly people will move to protect themselves and others. Contact Koorsen today to learn more about factoring human behavior into your fire protection systems to make the people that occupy your buildings safer. We’ve been in the business of protecting people from fires for more than 70 years with fire safety engineers that can ensure all of your buildings have a fire safety system designed with human behavior in mind.